Anna: Who would have thought that a time-traveling drama about pirates would have my pick for best OST in 2015? Probably not even myself, but here we are! Captain of Destiny (HK) had three songs that somehow were capable of perfectly capturing the mood and storyline of a largely incoherent drama. Added bonus is that all three was performed by TVB artists, and not mediocre singers from TVB’s old singing competition show, The Voice. Hooray! Fred Cheng’s opening theme song, Sailing, was appropriately epic-sounding for the swashbuckling theme of the drama. Ruco Chan’s performance of the melancholic ending theme, Next Century, was further proof that this man can probably do no wrong. My personal favorite, however, was Linda Chung’s romantic sub-theme, A Never-Changing Heart, and she wasn’t even in the drama! Though I was never that big of a fan of Linda’s singing, this song had me hitting repeat. Runner-up: My winner for Best Cinematography of 2015, Valid Love (K), also provided a very pleasant OST for its drama viewers. In line with the laid-back slowness of the show itself, the music that played in the background was of similar styling. Eddy Kim’s acoustic jam, Empty Space, is a perfect encapsulation of the emotions and feel of this drama. Estelle: The best OST this year is definitely You Are My Sunshine (C). With powerhouse singer Zhang Jie and his musical other half Wu Wen Fang (she reminds me of Tian Zhen, for reals) how can an OST fail? Plus, Tiffany Tang and Wallace Chung lent their voices to the soundtrack, adding a little bonus for their fans. 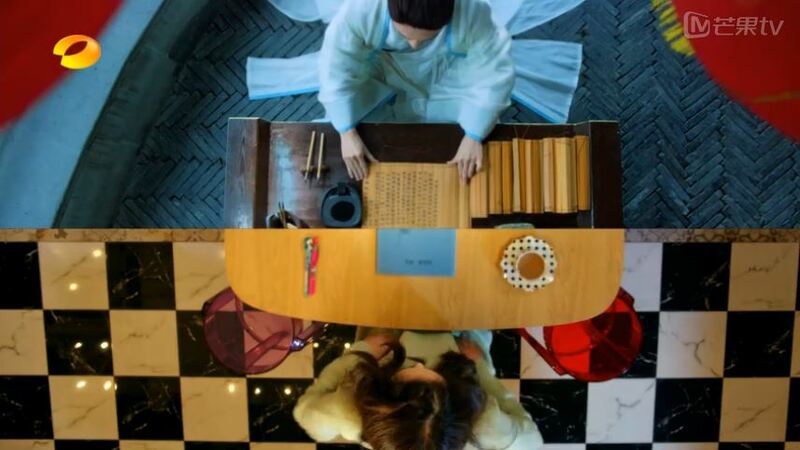 The music perfectly summarized the ups and downs of the relationship between Yi Cheng and Mo Sheng, capturing our hearts again and again as we listen to the songs. Though Tiffany cannot compete with the original singer of Hao Jiu Bu Jian (Long Time No See) Eason Chan (I mean, who can?) but I still liked her rendition which added a feminine touch to the longing after a long separation. Have a listen yourself and let me know what you think! Runner-up: It is a tie between Ex-Girlfriend Club (K) and Love Weaves Through a Millennium (C) because I love the peppy happy mood of the former and the slightly sadder tone of the latter. Both are good OSTs but didn’t quite have me running out to buy the tracks. Listen to the soundtracks here and here. Which song was your favorite this year? Was there one that was overplayed and tired? Sound off below! And stay tuned tomorrow for… Best Actor & Actress! I do loved “Why love” as well. It was perfect for the battles YiChen was going through. One can feel after 7 yrs, he is bound to be exhausted for not being able to let go. Also, I’m glad Tiffany sang “Long time no see” because I feel it’s MoSheng’s voice (hence, I had to problem that it wasn’t given to a more professional singer).